Continuum is an action arcade game aimed towards both the relaxed and the more intensive game play styles. The overall concept is simple, control the sphere and avoid any on-coming collisions, which turns out to become more of a challenge than you expect. Packed with over 15 levels, the only way to remain the champion of the high score will be to master them all as well as the bonus multiplier levels. Choose from any combination of background, color scheme, and sphere design to personalize the game to your own preference. New designs are always being added. After a small team separation several months back, I decided to re-kickstart Continuum. For those of you that are new, here is a quick run down of the game. 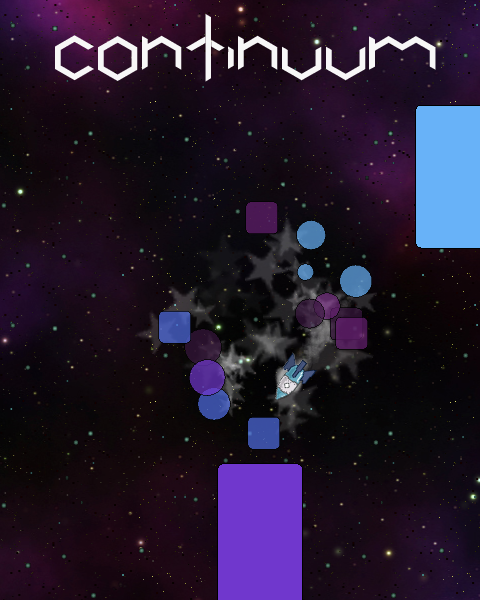 Continuum is an arcade game focused upon quick gameplay which is targeted towards all audiences. Having speeds from a leisurely slow to a blazing fast, Continuum appeals to many types of a gamers. The catch is the quicker the gameplay the harder and more points you receive, so the key is to find the proper balance of speed and difficulty. Below is a page of some ideas I plan to add to the game now that is has been revived, a few others are ones that I was just throwing around. So, what are your ideas. Any thoughts on a unique style or theme? How about a game icon, or even a unique mode. 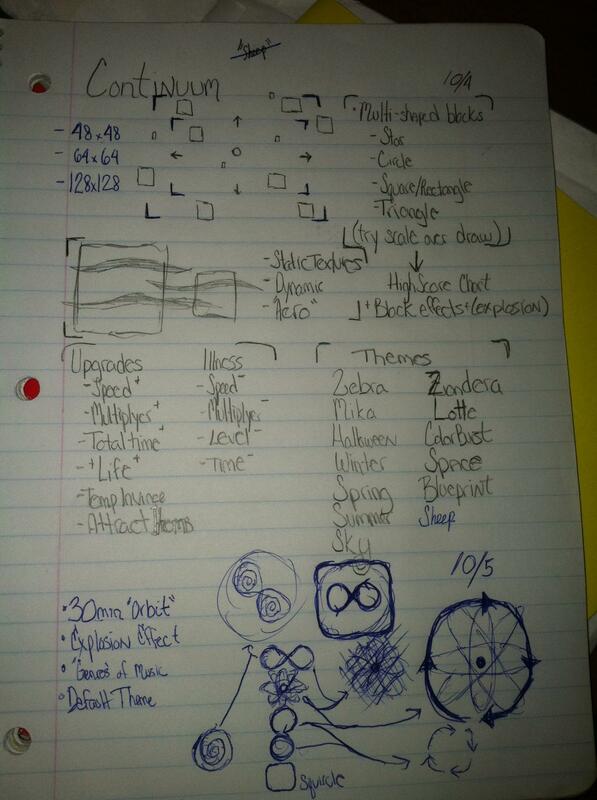 Keep in mind, four different modes are already planned, but they will be revealed at a later date.